This award-winning feature-length documentary serves as the definitive story of how a dark, nightmarish screenplay became one of the most successful - and celebrated - film franchises in Hollywood history. The Alien Saga also examines the sexual and mythic origins of its subject with compelling interviews, never-before-seen outtakes and extensive highlights from all four big-screen incarnations. For the folks who want hours and hours of notes about the movie series, the massive Alien Quadrilogy package will be the way to go. However, for those who want a little more information in one simple package, The Alien Saga might be the way to go. Produced in 2001 for the AMC cable channel and narrated by actor John Hurt – “Kane” from 1979’s Alien - this 110-minute documentary covers all four flicks: Alien, 1986’s Aliens, 1992’s Alien3, and 1997’s Alien Resurrection. However, don’t expect equal time for the quartet, as Alien remains the king of the hill. Matters become choppier for the three sequels, though some of this feeling comes from hindsight. After all the information from the Quadrilogy, I know tons about the making of these films, so omissions will seem prominent. Still, I find it nearly impossible to say how well these sequences would work for someone with no foreknowledge of the Alien productions, so some of these complaints clearly come from my viewpoint. On a positive note, we hear more from Weaver in the Saga than we do in the Quadrilogy, and she presents a good perspective largely absent from the latter. Most of the information not heard in the Quadrilogy comes from Weaver, though Saga includes a few other bits that don’t appear in that massive boxed set. We see some Giger drawings for an abandoned version of Dune, and we also learn of other actors considered to play Ripley. Some of the outtakes and auditions also don’t appear in the Quadrilogy. Objectively, The Alien Saga does present an enjoyable and informative documentary, so I’d definitely recommend it to those who want a taste of the various productions but who don’t want to sit through the hours and hours of the Quadrilogy. However, those who already have the Quadrilogy probably won’t find a lot they need here. The amount of previously unaired material seems thin. I can’t say I learned anything new about any of the sequels, for example, and only a few revelations about Alien appear. We do find some nice behind the scenes elements, though, and they add to the package. As an Alien obsessive, I’m glad to have this disc; it includes enough useful and unique material to stay in my collection. Those Quadrilogy owners without similar levels of fascination will likely find it to be superfluous, though. 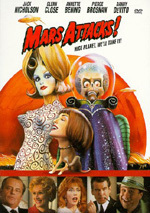 The Alien Saga appears in an aspect ratio of 1.33:1 on this single-sided, double-layered DVD; due to those dimensions, the image has not been enhanced for 16X9 televisions. Actually, the movie clips appeared in their original dimensions of 2.35:1 or 1.85:1; the latter was used solely for the Aliens segments. Some of the outtakes and screen-tests also featured letterboxed dimension. Given the variety of sources, Saga presented an erratic set of visuals, but it mostly seemed fairly satisfying in that regard. Sharpness usually looked good. Some movie clips appeared slightly soft, especially in wide shots. However, the majority of the pieces were acceptably concise and distinctive. Largely because of the lack of anamorphic enhancement, some jagged edges and shimmering occurred, though these didn’t seem major. Light edge enhancement also popped up at times. Source flaws occurred, mostly due to the older archival materials, though a few movie clips showed them as well. Some specks and marks appeared, but these never became too intrusive. Colors varied dependent on the sources and generally looked decent, though they tended towards some heaviness. The tones were a bit thicker than I’d like and came across as a little dense, though usually reasonably accurate. Blacks also varied and went from fairly deep to somewhat flat and inky, but they were usually decent, and low-light shots followed suit. Those were acceptably visible but not tremendously concise. 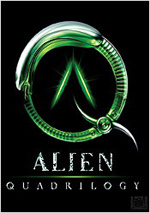 Overall, the image of The Alien Saga did little to come across as stellar, but it represented the material pretty well. Similar thoughts greeted the Dolby Surround 2.0 audio of The Alien Saga. The talky program mostly concentrated on the forward speakers. Speech dominated the program and stayed in the center. A lot of music adapted from the films also appeared throughout the show, and those elements demonstrated pretty positive stereo imaging. Effects duplicated the original material reasonably well, though without quite the same breadth as the source movies, as these stayed somewhat in the background most of the time. The surrounds simply echoed the forward channels for the most part, and they didn’t present anything more than general support. Audio quality appeared fine for this material. Speech seemed concise and distinctive, with only a smidgen of edginess at times. Music didn’t display full range because those elements usually stayed in the background, but the bits of score sounded reasonably full and dynamic. Effects also mostly kept a little to the rear, but they were acceptably detailed and lively. Those various pieces never worked as well as they would in the movie DVDs themselves, but they seemed satisfying for a documentary. Bass response was fair to good, though not better than that. Ultimately, the audio was fine for this sort of piece but not anything better than that. Next we get a 1979 promotional featurette entitled Experience in Terror. Also found on the Quadrilogy bonus disc, this short seven-minute and eight-second piece includes some movie snippets, some behind the scenes shots, and sound bites from Ridley Scott about the project. Mostly he just reiterates the plot, though he also discusses his aims for the film some elements of its creation, and audience reactions. As far as promotional featurettes go, “Terror” seems decent, but it’s no better than that and it merits inclusion only as a historical curiosity. For the first sequel, we get two programs. An Aliens behind the scenes featurette runs seven minutes, 58 seconds and includes movie clips plus a few behind the scenes shots and soundbites from Sigourney Weaver, James Cameron, special alien effects creator Stan Winston, and producer Gale Anne Hurd. Some of their comments provide minor depth, but this piece exists mainly to tell us the film’s plot, introduce its characters and get our butts in the seats. A second Aliens featurette called Grunts In Space also appears. 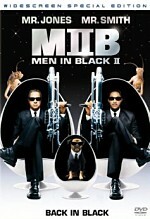 It concentrates on the actors who play the film’s Marines and lasts three minutes, 52 seconds. We hear from Cameron, actors Jenette Goldstein, Michael Biehn, Al Matthews, Bill Paxton, and an unnamed dude involved with the performers’ training. While short, “Grunts” provides some decent notes about Cameron’s perspective on the movie’s soldiers and their own attitudes toward the characters. It’s not terribly revealing, but it provides decent bang for the buck. After this we find two video “profiles”. We get one for James Cameron (three minutes, 25 seconds) and one for Sigourney Weaver (3:12). Both were created along with the aforementioned featurettes and come as part of the promotion for Aliens. They present some behind the scenes material and interviews with their prime subjects; Hurd also appears in the Cameron piece. Cameron talks about his filmmaking attitudes, the challenges of Aliens, the characters, and his attitude toward emotional content in the flick. Weaver discusses her take on Ripley, her attitude toward guns, and working with young Carrie Henn. Neither offers much real information, so both seem eminently skippable. Finally, The Alien Saga finishes with some trailers. We get one ad apiece for each of the four movies. The Alien3 clip provides the very misleading teaser that implies the movie will take place on Earth. 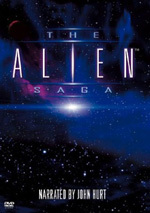 As a die-hard fan of the movie series, I enjoyed The Alien Saga. To varying degrees, the program skimped on information about the various sequels, but it nonetheless offered a good synopsis of the series. The DVD presented somewhat erratic but generally positive picture and audio plus a smattering of decent supplements highlighted by some intriguing test footage. Most fans with The Alien Quadrilogy in their collection probably won’t find much of use from The Alien Saga, but obsessives like me or those who don’t own the big box should find some solid material here.